The Fox Lightweight Filler is a ready mixed, easy to use repair compound. It's advanced light weight, super white formula allows deep holes to be filled in a single application and finished to eliminate the need for sanding. 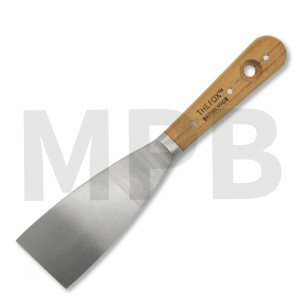 It will not slump even when used to fill very deep holes making it especially suitable for use when repairing ceilings. 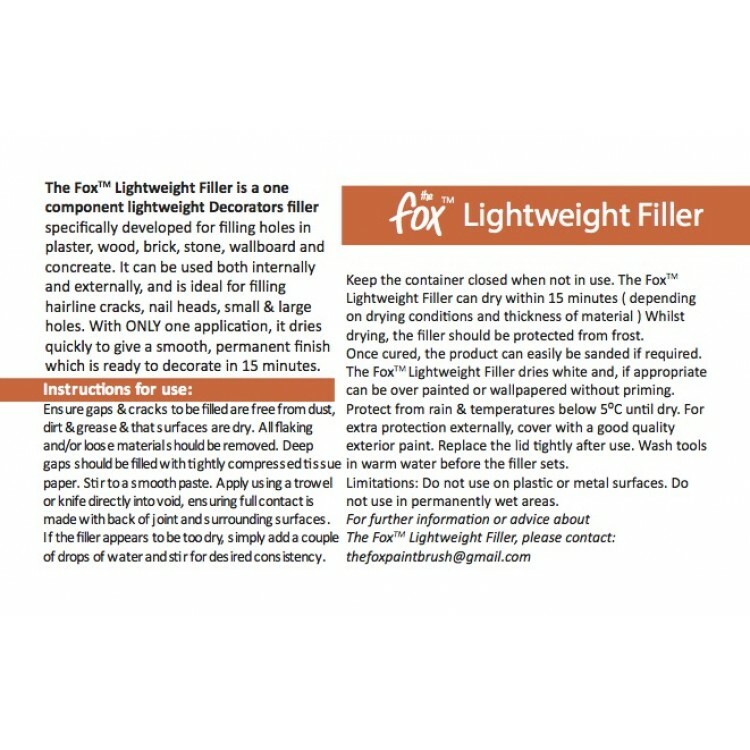 The Fox Traditional Filling Knife 1.5"
The Fox Traditional Filling Knife 1.5" Highly Flexible Stainless Steel Rosewood Handl.. 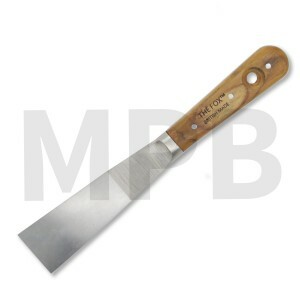 The Fox Traditional Filling Knife 2"
The Fox Traditional Filling Knife 2" Highly Flexible Stainless Steel .. 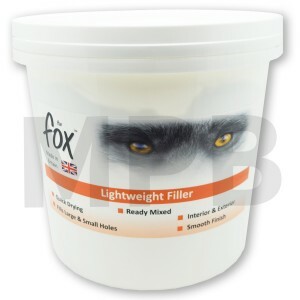 The Fox Lightweight Filler Size: 1L Key Features: - Ready .. 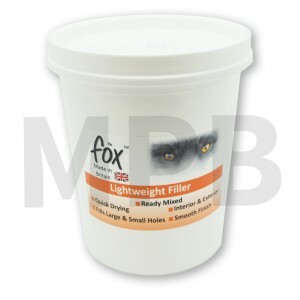 The Fox Lightweight Filler Size: 4L Key Features: - Ready Mixed - Quick Drying - Smo..